We check out EcuTeK's in-car dash display for late-model Subies. 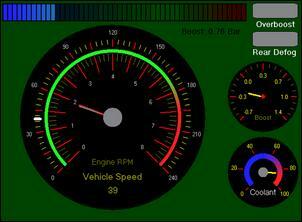 Like to keep tabs on your car's engine but don't want a heap of gauges cluttering up your dashboard? Well, if you own any MY99 or later Subaru you're in luck – the EcuTeK in-car dash display kit (which is distributed in Australia by MRT Performance) offers a variety of real-time engine data in a compact DIN-sized display. The in-car dash kit retails for AUD$1290 (including GST). The in-car dash kit arrives in a box containing an OBDII connector cable, a well written instruction manual, and the dash unit. Note that a genuine Subaru mounting pod is also available for some models. This pod mounts the display unit in the centre of the dashboard above the air vents. Otherwise, the unit can be mounted in any of the DIN-sized dashboard openings. Start by connecting the supplied cable into the back of the in-car Delta Dash unit. 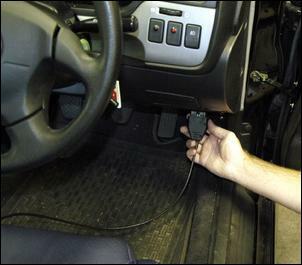 Next, find the location of the car's OBDII check connector – this is usually near the base of the steering column (in a right-hand-drive vehicle). Route the cable behind the dash to the OBDII connector and plug it in. No further wiring is required. As soon as you switch on the ignition, Delta Dash reads data from the ECU and determines which model/year vehicle it's working with. Straight away, live data will be streaming into the Delta Dash. Nothing else needs to be done – firing the system up is that easy. The in-car Delta Dash is operated by just four buttons and is easy to use. Data page one gives manifold pressure (BP), coolant temperature in degrees Celsius (CT), Lambda (LA) and battery voltage (BV). Data page two gives manifold pressure (BP), ignition timing in degrees (IG), injector duration in milliseconds (ID) and knock correction in degrees (KC). Data page three gives manifold pressure (BP), airflow in grams per second (AF), engine speed (ES) and intake air temperature in degrees Celsius (IN). 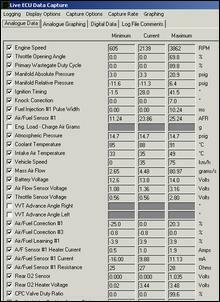 Data page four gives injector duty percentage (DU), throttle percentage (TH), road speed (RS) and engine speed (ES). Note that road speed can be configured in mph or km/h. Data page five gives boost pressure (BP), coolant temperature (CT), outside temperature in degrees Celsius (OT) and oil pressure in Bar (OP). Note that a compatible oil temperature sensor must be installed to measure oil temperature. Data page six gives turbo wastegate duty (WD), advance multiplier number (AM), air-fuel correction (FC) and engine load (LD). Data page seven gives the rear oxygen sensor output in volts (RX). There are also three spare inputs on this screen – with the fitment of the appropriate Defi sender unit you can display gearbox fluid temperature, engine oil temperature, secondary air intake temperature or other. 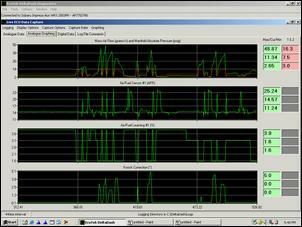 Note that the live data display updates four channels approximately two times per second. This is fine for sampling most parameters, but it isn't ideal for high-resolution sampling. The in-car Delta Dash unit also allows you to display boost, rpm, road speed and coolant temp parameters on separate screens. In addition to showing a live numerical value, these screens show the peak value along with a small bar graph representation. Oh, and the in-car display unit also incorporates a digital clock – handy when you have to remove the OEM clock that's integrated into the top of the dashboard. 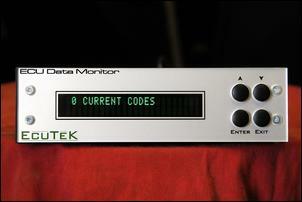 The in-car Delta Dash unit is an easy way to read fault codes from the ECU. Each fault code can be displayed along with a detailed description of the problem. Up to 268 codes can be displayed along with historical codes (which may be no longer active). If/when a fault code is displayed, you can reset the ECU via the in-car Delta Dash. This erases the fault code memory without needing to disconnect the battery. In addition to providing a real-time data display and fault code reading/resetting, the in-car Delta Dash has an alarm output that can be tripped above a certain coolant temperature, boost pressure and road speed (for example). These alarm settings are adjusted using the up/down buttons. Furthermore, the in-car Delta Dash features an adjustable rpm output that can be used to trigger a shift light. A water injection or water spray system can also be triggered at a specific boost pressure. Note that a relay must be used to switch high-current loads. 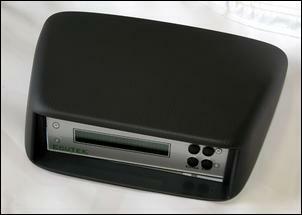 The in-car Delta Dash can be used to make various tuning changes to the ECU. Note that this is possible only when the ECU has been enhanced with new software to allow the User Tune function. 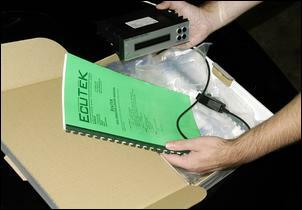 ECU enhancement can be done by an approved EcuTeK reseller only. User Tune lets you lower boost pressure and the rev limit from the base values, adjust the timing of the inlet camshaft (in cars with VCT), change idle speed, retard ignition timing and alter the fuel mixture. This lets you compensate for changing fuel octane, variable ambient temperature or to limit performance for a second driver. The in-car Delta Dash shows data using a vacuum fluorescent dot matrix display. Data is illuminated green to match the rest of Subaru's dashboard illumination. With its adjustable brightness, the in-car display is very easy to read in almost all circumstances, but it can be flared by direct sunlight. Choose the mounting location carefully and you should be able to minimise this. Cosmetically, the in-car Delta Dash is tidy and reasonably professional looking - but it is spoilt by the four exposed Phillips-head screws on the faceplate. Some simple push-on caps would help give a better finish. The EcuTeK in-car Delta Dash is provides enough live data to satisfy anyone. Its ability to easily read/erase fault codes and to make small ECU tuning changes (when the ECU has been enhanced) can be considered as bonuses. At AUD$1290 (including GST) it's not cheap but it is certainly a lot cheaper and more manageable than fitting a myriad of individual gauges. A PC-based version of Delta Dash is also available. Designed to plug into your laptop, this system is intended for temporary use only. On the other hand, it offers more in-depth live data, data logging, an on-road dyno function and the ability to display a virtual dash. The PC-based live data screen simultaneously displays numerical data covering up to 130 live parameters - in other words it covers everything you could possibly want to log. Live data is displayed alongside the minimum and maximum sampled values. Note that the sampling rate for the live data display can be varied between one minute and around 200 milliseconds. In addition, up to four analogue parameters can be graphed on-screen. These graphs are auto-scaled to provide easy viewing, and you can zoom in on certain sections. A virtual dash can also be configured to give an analogue gauge style display of selected parameters. This makes it very easy to watch two or three parameters at a time. For added street cred, the virtual dash can be configured to drive a touch VGA screen. This can be mounted wherever there is space in the vehicle. By touching the VGA screen you can change its "skin" – you can set it to look like a Prodrive WRC or MoTeC dash display. However, one of the biggest advantages of the PC-based Delta Dash is its powerful data logging capability. 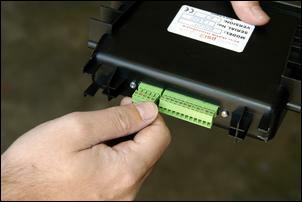 At the click of a mouse or by pushing the rear demist button a host of ECU data can be logged. The log file is generated in your specified directory. A typical 5-minute log covering eight parameters creates a file size of 150KB. Once your chosen data has been logged, you can view it as numerical data or as a graph. Like the in-car kit, the PC-based Delta Dash also lets you read fault codes, reset the ECU and (when the ECU has been suitably enhanced) make basic User Tune changes. Note that these tuning changes are not permanently stored into the ECU. The ECU is restored to its original settings whenever it is unplugged or reset. Finally, the PC-version of Delta Dash also includes an on-road dyno function. 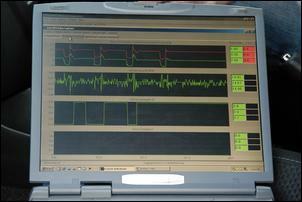 The on-road dyno requires detailed information on the vehicle (such as gearing and aerodynamics). Once this has been entered into a data page, you click on 'Start Test' and run the car through to the rev limiter in any gear other than first. 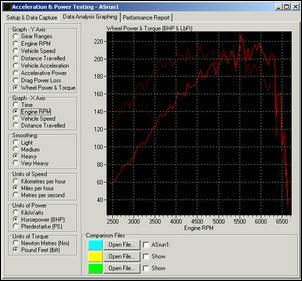 This is a screen dump of a dyno graph we achieved in a modified WRX. No, it isn't completely accurate when compared to existing chassis dyno figures but it is very useful for before and after type testing. And what's the cost of the PC-based Delta Dash? Well, an 'enthusiast' version (which allows you to use the system on up to three different cars) sells for AUD$690 including GST, while a 'pro' version (which will work on an unlimited number of Subies) sells for AUD$1539 including GST. Each system comes with software, a dongle (which is essential to activate the system) and cable to plug into your laptop.